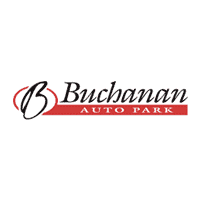 Auto Body Shop and Car Repair Waynesboro | Buchanan Auto Park, Inc. The Factory Certified Technicians and auto painters at Buchanan Auto Park, Inc.’s body shop in Waynesboro do everything from minor fender bender repairs all the way up to frame pulling and unibody structural repair. We’re on call for 24-hour towing from the scene of an accident in Waynesboro, Gettysburg, Carlisle, and the Hagerstown, MD areas. We’re able to handle auto body repair for all makes and models, including Jeep collision repair. Whether you have a minor dent or need more involved auto body repair, our capable team can help. We’re located just a short drive from Chambersburg, and you can give us a call at 717-749-4185 for Waynesboro auto repair. Come in and see us at our body shop in Waynesboro at 11194 Buchanan Trail East, or use the online form to schedule an appointment or ask questions.